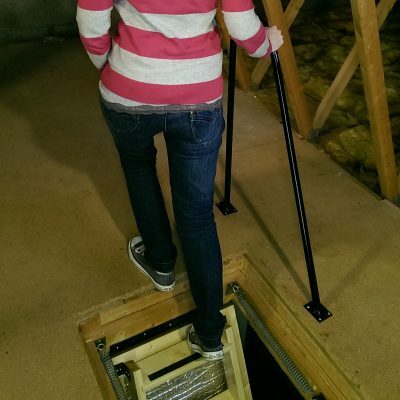 Bringing push button automation to the Stira folding attic stairs. The Stira Semi-Automatic brings the trapdoor down for you, and closes it up again. The Semi-Automatic was specially designed for the Stira Folding Attic Stairs. Developed specifically for very high ceiling where manual attic ladders would not work. 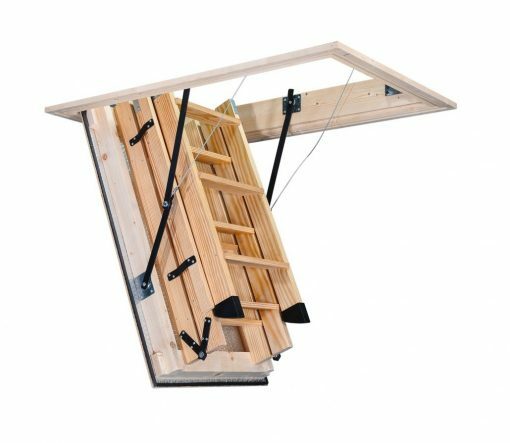 As with all our attic ladders the Stira Semi-Automatic is made in Ireland and comes with a 10 year guarantee on the parts. When purchasing a Stira Semi-Automatic the Stira isn’t limited by the weight the springs can hold, so there are more options for customisation. We have spent considerable time ensuring our Semi-Automatic system continues in our tradition with high quality and standards. 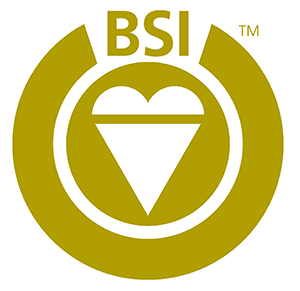 The system features intelligent safety awareness, by constantly measuring its progress the system can recognise when something is jamming or pulling on the trapdoor. This means if anyone was to accidentally get a finger or hand stuck in the trapdoor while its closing, the Semi-Automatic will know there is an obstruction and perform an emergency stop. Battery Backup for use during a power cut! 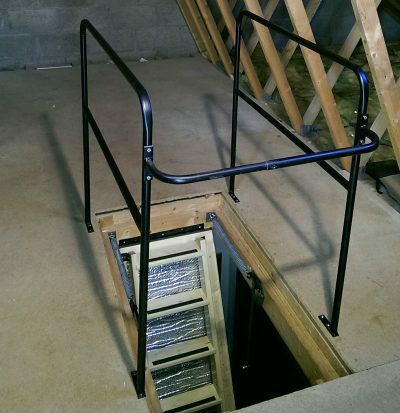 All attics contain vital systems in the home that need to be accessed. 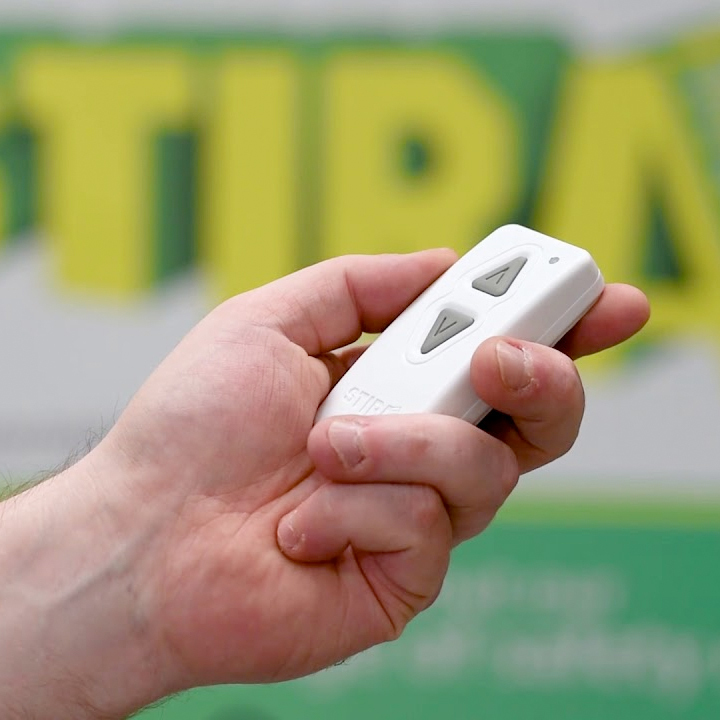 The Stira Semi-Automatic comes with a emergency battery backup that allows the trapdoor to be released should there be need to access the attic during a power cut. Please Note: The Stira Semi-Automatic requires a standard 3 pin plug socket in the attic. The plug point needs to be within 1 metre of the intended opening. Please arrange for a qualified electrician to install a plug in the attic prior to fitting the Stira Semi-Automatic as power is required during installation.